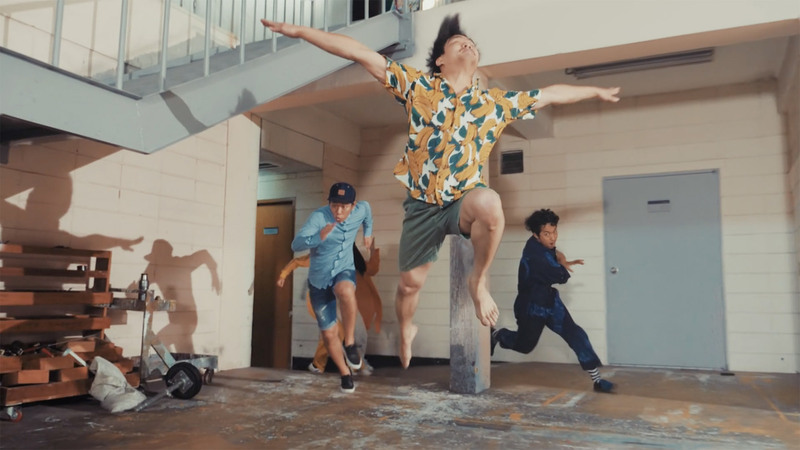 Having previously taken on the intricacies of the temporal realm in subtle time travel short The Time Agent, Jude Chun partners up with Director Yena Gim for God’s Lament, a music video which expresses the weariness of the creator of all things. We invited Jude back to DN to share how he and Yena combined choreography, camera movement and a giant floating ball for this delightfully escalating tale of divine fallibility. I first heard Zagmachi’s song God’s Lament two years ago when I used an earlier version of the song in my short film The Time Agent. The musical arrangement has changed since then and the band was able to afford a better recording studio but the story in the lyrics has stayed the same and telling the story visually was an exciting prospect from the beginning. Something very important for us when planning the music video was that it should “look how it sounds.” I kept gravitating towards shooting it in one long take. But at first, I didn’t even understand why. It just felt right. Only after storyboarding it and discussing it with my team did I realize why the long take was necessary. The story has to build up, block by block, chapter by chapter, until it feels bigger and bigger; too enormous a responsibility to handle; too unwieldy. Just like the character of God feels in the story. The inherent difficulty of the long take conveyed that emotion. If we had weeks to rehearse, I think one actual continuous long take would have been interesting to shoot, but in actuality, we had to break down the long take into 8 shots, for a total of 12 shots in the entire music video. We shot on the Panasonic GH5, where the Micro Four Thirds sensor worked to our advantage, letting us follow focus on a micro-budget production. We had 2 days of rehearsal and 2 days shooting, which is not a lot for a shoot this complex. It was really interesting exploring the relationship between camera movement and dance choreography. I was incredibly lucky to work with Jubin Kim, who played the role of God and also did the choreography. It was my first experience working with a professional dance choreographer, and it was really interesting exploring the relationship between camera movement and dance choreography. We’re hoping to shoot a dance film together based on his successful dance performance Der Gute Mensch. Most of the actors in the music video are my friends from the theatre group Studio Nanadashii, led by Director Yena Gim. We do a lot of experimental performance theatre, so the actors are quite used to using movement and gestures to express character. Bringing that aesthetic into the music video genre was an interesting challenge.